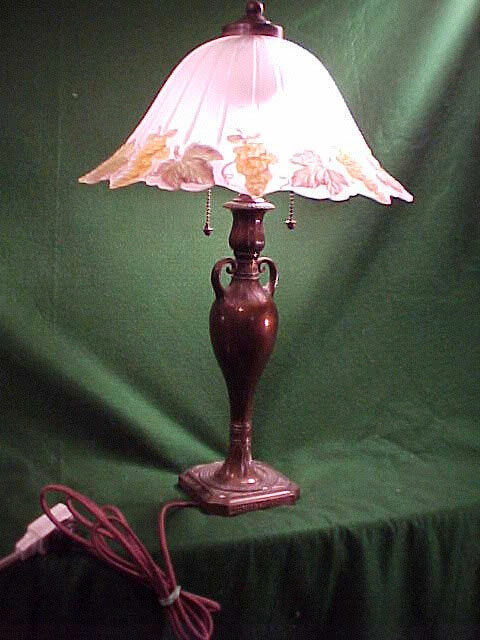 Here is a very nice and properly signed Bradley and Hubbard table lamp. 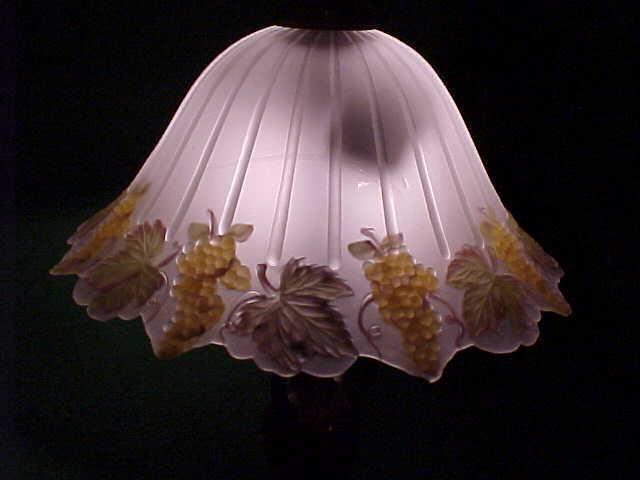 Shade measures 15" and is bordered with grapes and leaves, in the Handel Coralene fashion. 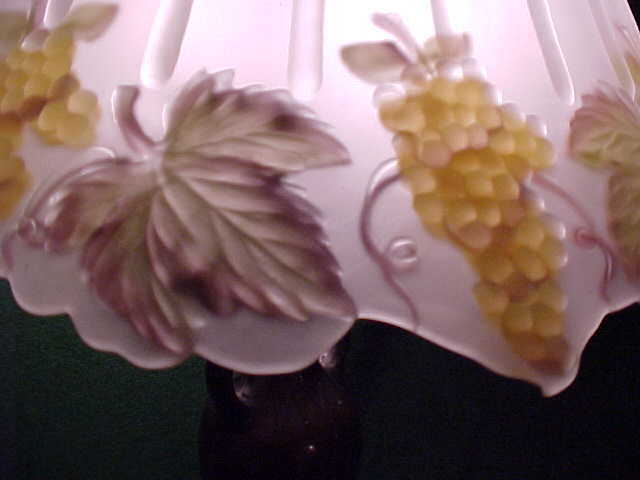 This Coralene procedure is when the subject matter, in this case, grapes are blown on the body of the shade while the glass is still moulden.